Never heard of the term hybrid onboarding, don't feel bad neither had I. Apparently that is the new term used to describe a new sign-up/log-in technique implemented across several major sites. These sites that use an existing log-in system based on email addresses use a hybrid OpenID/OAuth protocol and the Portable Contacts API to utilize a users existing information to simplify the sign-up and log-in process. One of the most popular known uses is the OpenID User Interface which allows you to use a single log-in across several major sites. If you give consent to share a few pieces of information, you are sent back to Plaxo with all key registration steps finished. 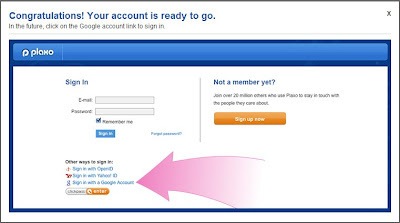 The registration process used to involve more than 10 steps, including requiring you to find one of those "email validation" messages in your inbox. 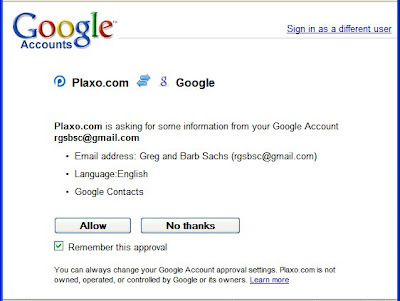 If you've followed the steps above, you can now sign into Plaxo more easily — by simply clicking a button. With this new hybrid onboarding technique Google says your passwords and log-in information will be more secure because the authentication security of these sites will never see a password from you at all. Since you don't have to enter your password on additional sites there is less chance of phishing or cross script hacking. So I'm assuming that 'hybrid onboarding' is just a fancy term for APIs like Facebook Connect and OpenID? In that case, I really like it because it allows me to sign into a website without having to sign up for a new profile first. Most of the time, my information will always be the same so it doesn't really make any sense to have to re-enter it all over again. Yeah its pretty much just a new term for the same old thing, but it looks like they are using a combination of APIs and OAuth to make it work across more sites and simplify things even more.